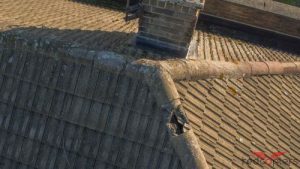 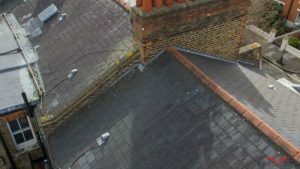 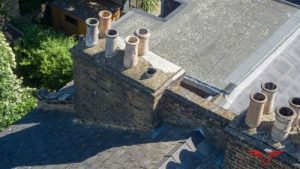 The building inspection and surveying industries are starting to appreciate the benefits of small unmanned aerial vehicles (drones) as tool for surveying buildings, especially roofs and other inaccessible locations. Redcopters’ unmanned multi-rotor helicopter provides an alternative to conventional access methods for high or awkward locations, such as towers, scaffolding or hydraulic platforms (MEWPs). 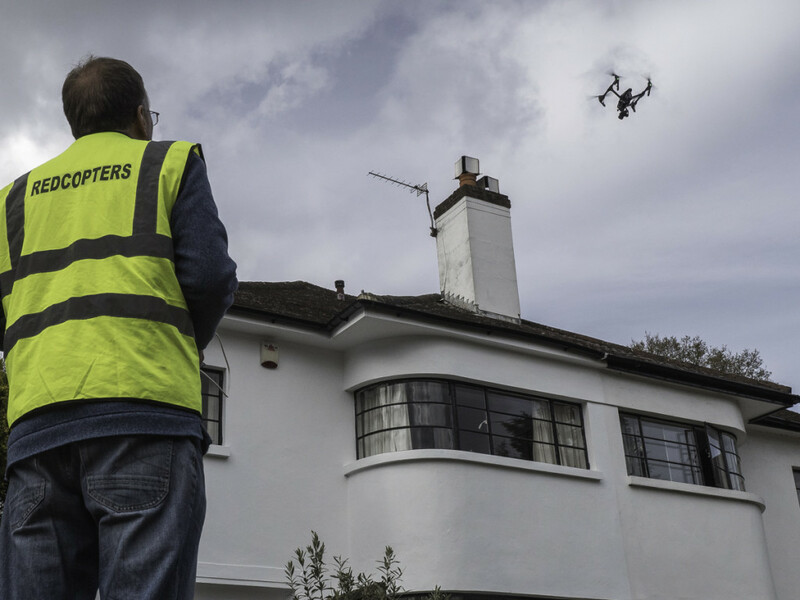 Our drone is licensed to fly in built-up areas, so we can operate across London and most other towns and cities. 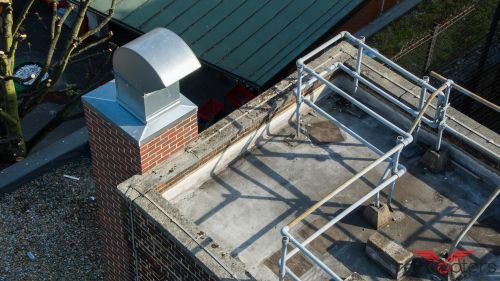 To fly a drone around a building is faster than moving towers or platforms and means that multiple locations can be quickly accessed, allowing rapid diagnosis of a problem, with live video available on a ground-based monitor throughout. 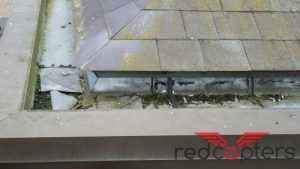 And, we use a polecam too, just in case you want a close look in the gutters! Used regularly, Redcopter’s’ aircraft can provide monitoring of construction progress and can provide evidence of structural damage for insurance claims or valuations. This is how a drone survey works.This film shows us at work on a high tower, with awkward visibility and poor access due to the radio gear on the roof. 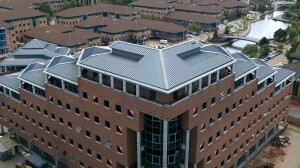 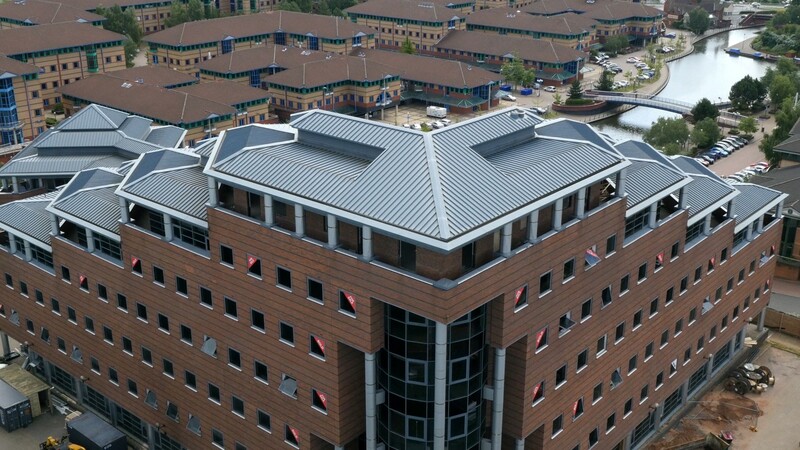 The drone was able to take high-quality movies and stills and clearly reveal the exact state of all of the roof plant.